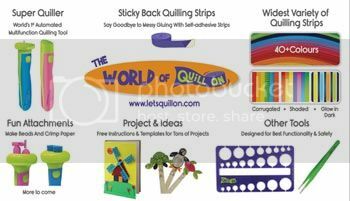 Some of the most frequently asked questions I get about quilling are about the sealants that I use for jewelry. I already wrote one post about this but I find there are SO many details that I could go into, so I’m going to do a series of posts about the sealants that I use. I will try to include as many helpful tips and photos as I can to make it very informative. Let me know in the comments if you have any other questions about the sealants that I can include in the coming posts. So in this post I will be showing and explaining about how each of the sealants looks. Is it thick? thin? does it change the color of the paper? it is matte? shiny? These are the products which I am showing in this post. In parentheses is the abbreviation that I use in the photos to show which product is which. For my first test I used tight rolls of aqua colored paper. In the first row shown below all the circles are plain. In the second row I had just applied the sealant so it is still wet. You can see that the PPAM and PPAG are white and fairly thick. The LMS and GT are thin and liquidy. You can see right away that they make the color of the papers darker. The CCG is thick, but more clear than the PPA. Lastly there is a plain circle to show contrast. In the third row all the sealants have dried. The PPAM and PPAG have not changed the colors of the paper. The LMS and GT are still darker, and the CCG is just a shade darker. In this photo you cannot see which ones are glossy, however, so I took a photo at another angle to show the glossiness. The fourth row shows how glossy they are. The PPAM is a total flat matte. There is no shine at all to it. PPAG is nice and glossy and has a bit of thickness to it. LMS is not 100% matte, but it also is not shiny. It’s in between I guess. If you put on another couple layers of LMS it would look a bit glossy. GT is not thick, but is nice and glossy. CCG has a bit of thickness like PPAG and is nice and shiny. Something important to note is that although all of these products are sealants and give a water resistant finish, they are not as hard as plastic. If you stick your fingernail in the surface of PPAG and CCG it will leave an indent. The indent will go away after awhile (it might take several days to go away) but it never gets completely hard. This is because they are all water based. That is the drawback of using water based products. On the other hand, they don’t release toxic fumes the way resins and oil based sealants/topcoats do, so I think it is a fair trade-off! The first row shows the wet sealants. I squeezed the PPAM, PPAG, and CCG. The LMS and GT were applied with a paintbrush. The second row shows the sealants still wet, but I used a brush to flatten down the PPAM, PPAG, and CCG. You can see a little dark spot where they had soaked into the paper a little bit before I spread them. The third row shows after they have dried. All of the sealants have changed the color of the paper somewhat. THe PPAM and PPAG are the lightest, then the CCG. The LMS and GT have really made the papers dark! This is a LOT darker than on the quilling paper. I’m guessing it has something to do either with the weight of the paper or the composition. 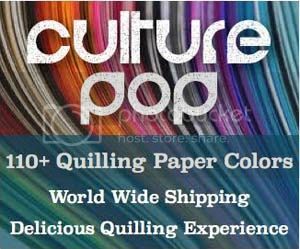 I know that quilling paper is acid free (at least the ones from Quilled Creations and Lake City Craft are for sure). This paper I don’t know. The fourth row is a photo taken at an angle so you can see the glossiness. PPAM can hardly be seen, the LMS just a little. The GT is glossy, but mostly on the one thicker part. If you added another layer it would be very glossy like the PPAG and CCG. But why stop here! Some people like to use thicker paper for their quilling and other projects, so I tested on a gift tag card. This is cardstock. I don’t know the weight of the paper. It is not a shiny paper, it is more porous. I also thought it would be a good idea to show a strip of quilling paper, not rolled up. So I used a strip of the same aqua paper that I used for the tight rolls. The top row shows the wet sealants on the card. Like the other tests,the PPAM, PPAG, and CCG are thicker and stay on top in a thicker layer. The LMS and GT are thin and soak in fairly quickly. The second row shows the quilling strip and the card (the rolls are also in the photo, but you can ignore them for this). For the quilling strip you can see that the PPAM and PPAG don’t change the color of the paper. The CCG does, but just baaaarely. THe LMS and GT, like for the rolls, make it a bit darker. For the card you can see that all the sealants change the color of the paper. Again, I don’t know if this is a porous issue, a paper weight issue, acid in the paper, etc. The PPAM and PPAG change the color the least of all the tested sealants. The third photo shows it at an angle so you can again see the glossiness. The results are the same as the other tests. These results may vary depending on what sorts of papers you use and how many layers of sealant. If you want a TOTAL matte finish, go with the PPA matte! If you don’t mind a little bit of shine, the LMS will do just fine. The PPAG, GT, and CCG will all give you a nice glossy finish. If you want a little bit of thickness to the topcoat, go with PPAG or CCG. PPAG and CCG will both work if you want to totally coat some paper quilling inside of a bezel pendant. GT wouldn’t work as well for this since it is a lot more liquidy. Now, what do I personally use? I use PPAM for my main quilling glue. I use LMS as my main sealant. The reason for this is because I like that is is very liquid and will soak into the tight rolls, sealing the quilling. The thicker sealants will soak in, but it takes longer and I don’t think they soak in as deeply. I usually do a couple layers of LMS and then a top layer of GT, PPAG, or CCG. Sometimes if I want a total matte look I will do a couple layers of LMS and then a top layer of PPAM. *EDIT* Since writing this post, I have found another product that works just like the liquid matte sealant (LMS) but is available in the US. It is called Ceramcoat All Purpose Sealer . You can find it on Amazon or at most craft stores. I’m sure there are more products out there that work just like these, but this is the one that I have so far tested and loved just as much as liquid matte sealant. Click here to read the full review post about this product. I hope that was helpful! I am planning on the next post to show and describe how to apply the different sealants to open coiled quilling for it not to expand and lose the pretty coils. Another future post will hopefully show whether these sealants protect against fading (I personally don’t have any issues with fading on jewelry, but for display items this may be a concern). Are there any other questions/issues I might address about sealants in future posts? Leave a comment and let me know! I do quilling and like the look that Crystal coat glaze gives my flowers when I am making jewelery. Is there any other product out there that does the same thing but less costly? Hi Sue! I find that PPA glossy looks a lot like crystal coat glaze when dried. Also I’m starting to experiment with 3D crystal lacquer which seems quite similar as well. Now the Crystal coat glaze also comes in a bigger bottle, which is more cost effective, so that might help too! I use American DuraClear Gloss Varnish for my final two coats on paper bead earrings I roll. My first two coats I use Mod Podge matte. I brush it on and I have very little waste this way. I tested MANY different products and pulled the safety data sheets. This product is made in Kentucky by DecoArt, in nontoxic, non-yellowing, and is waterproof. I have been using it now for four years and LOVE it – just wanted to pass it on! Thanks for sharing! I actually have some of that which I picked up in the US, but haven’t tried it yet. Looking forward to trying it! I think this is for jewelry, what about quilling cards? I have never used sealant on a card since they are usually kept in envelopes, so don’t need the protection. If I was going to put sealant on a card for some reason I’d probably go with a spray as it covers the whole card area at once. If I just wanted to seal the piece of quilling on a card I’d do the same as with jewelry, depending on what the quilling was like. Thank you for replaying, I make cards without envelop so I asked about it, and you said I can use spray, is it safe on the hall card?I mean will it change? And the spray I have is ” Acrylic Epoxy” is it what you mean?